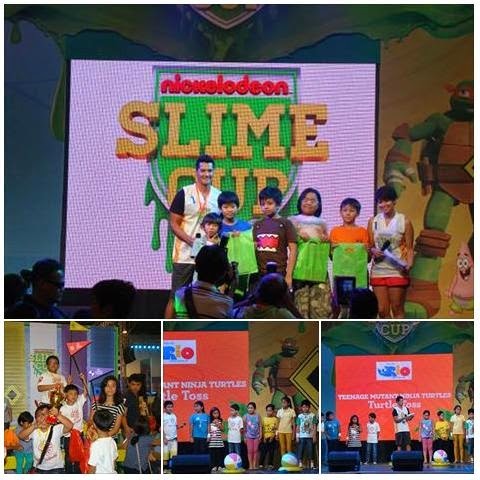 After a successful Slime Cup launch in Singapore last year, Nickelodeon brought the slimiest sports festival for kids ages six years old and above to the Philippines so that families have that opportunity of getting slimed before the summer vacation ends. Nickelodeon Slime Cup was launched to celebrate athleticism, gaming and Nickelodeon's signature green slime that encourages kids to enjoy bonding with their families while instilling the values of teamwork, sportsmanship, discipline and determination. 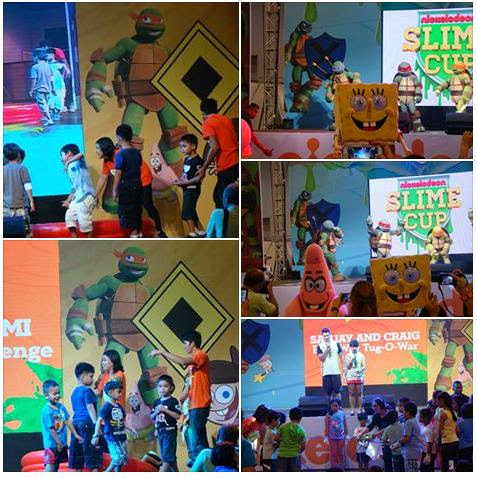 The slime being a main ingredient to a number of the fun sports-oriented activities, Nickelodeon Slime cup invited kids and their families to play Nickelodeon character themed games of baseball, golf, soccer and more. My daughter and I joined in the fun at SMX Convention Center in Manila last May 31st, as Nickelodeon's brand of fun activities kept the kids engaged in awesome playtime the whole day. Nickelodeon Slime Cup was presented by Toy Kingdom and Co-sponsored by Barbie the Pearl Princess, El Real Spaghetti and Macaroni, Goody Gulp Milk Drink, Jack n' Jill Knots, Lipps Pop Stix, McDonald's Happy Meal, Biogesic for Kids, Purefoods Funstuff Nuggets, Rio, and Skechers Kids.